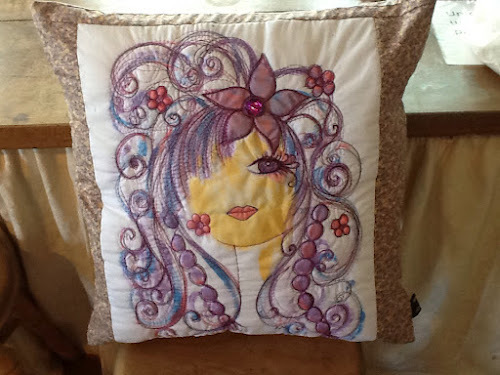 Purple fairy girl painted and embroidered and made into a cushion! 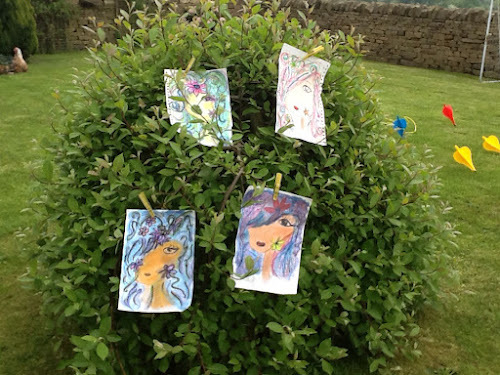 We had a mini workshop in the studio on Saturday drawing and painting these ladies. Have a look at the photo below for the results. Don't forget that the studio is open Monday and Tuesday from 11 till 4 as part of Bradford Open for Art - come and visit us!